Through the years, I have heard people say to others that they’just need to love themselves’, or words to that effect. In addition to this, I have come across numerous posts online where the same thing has been said. 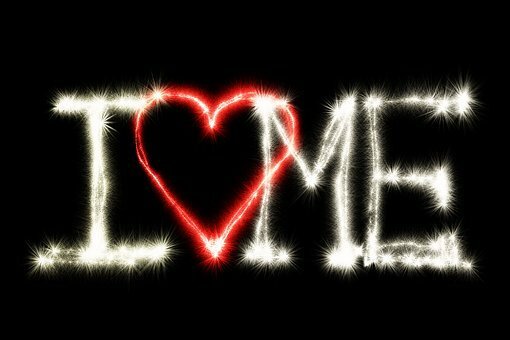 Self-love is then presented as something that someone can experience by simply loving themselves. With the same simplicity that someone might wear a jacket, then, they’re also able to love themselves with the same ease. What’s only too clear, however, is that if experiencing self-love was this easy, it would not be a challenge for so many men and women. If it was, someone in this position would just need to see that they don’t love themselves and then to simply love themselves. The fact is that in a lot of instances, experiencing self-love is not something that simply just happens. Someone can’t, typically, just decide to love themselves and everything will change. The concept that someone can just love themselves, instantly, is most likely coming from the view that that this is something which may happen through force. This can be considered a very masculine approach. When this approach is taken, what someone can do in order to love themselves is to end up adding things to their thoughts. If this approach does work in the beginning, they might soon find that it isn’t long before it begins to wear off. Additionally, they could even go from one extreme to another, having an inflated sense of themselves. Since they will have covered up how they really feel thanks to a layer of positive messages, the love they do have for themselves isn’t going to be built on firm foundations. This approach, then, isn’t going to allow them to develop greater self-knowledge. The alternative would be for them to bear in mind they are worthy and enough, for instance, while working through why they are unable to understand this at an emotional level. This isn’t a time when they will be attempting to change how they feel by force; they will be surrendering to what is occurring within them. There’s a strong probability that the reason they are not able to love themselves is due to the layers of trauma that they are carrying. As they work through these layers, it might just be a matter of time before it’s normal for them to experience positive feelings. Perhaps the main thing that that stops someone from being able to encounter self-improvement is pity. This is something that may make it more or less impossible for them to experience positive feelings, and, even when they can, it can be a challenge for them to sustain them. If someone is loaded up with shame, often described as toxic shame, it can demonstrate that they experienced some kind of abuse and/or neglect as a child. Additional their birth and their time in the womb may have played a part in how they feel about themselves as an adult. Working through this pain is, naturally, not going to happen overnight. But, due to how miserable life can be without being able to experience self indulgent, it is definitely worth the wait. This is a procedure that may take place with the assistance of a therapist or a healer. Someone like this will provide the presence and the advice that’s required to work through these layers of injury. Teacher, prolific writer, writer, and consultant, Oliver JR Cooper, hails from England. His insightful commentary and analysis covers all aspects of human transformation, such as love, partnership, self-love, and inner awareness. With over one thousand nine hundred in-depth articles highlighting human psychology and behaviour, Oliver offers hope along with his sound advice.